Ever since we opened our doors at OK Tire & Auto Service, we have serviced the automotive repair, tire, and wheel needs of those in the St. George, ON area. Our auto repair facility is located at 244 Brant Road -- Highway 24, RR 1 in St. George, ON. Our showroom offers competitively priced consumer tires, commercial tires, farm tires, and industrial tires from some of the industry’s best tire brands, including MICHELIN®, Toyo, and Bridgestone. 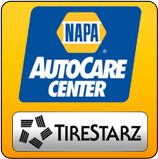 Our free online vehicle diagnostic center allows you to diagnose car problems 24 hours a day. Open Monday through Friday from 8:00 AM – 5:00 PM and Saturday from 8:00 AM – 12:00 PM. We serve customers from St. George, ON, Brantford, ON, Cambridge, ON, and other surrounding areas.